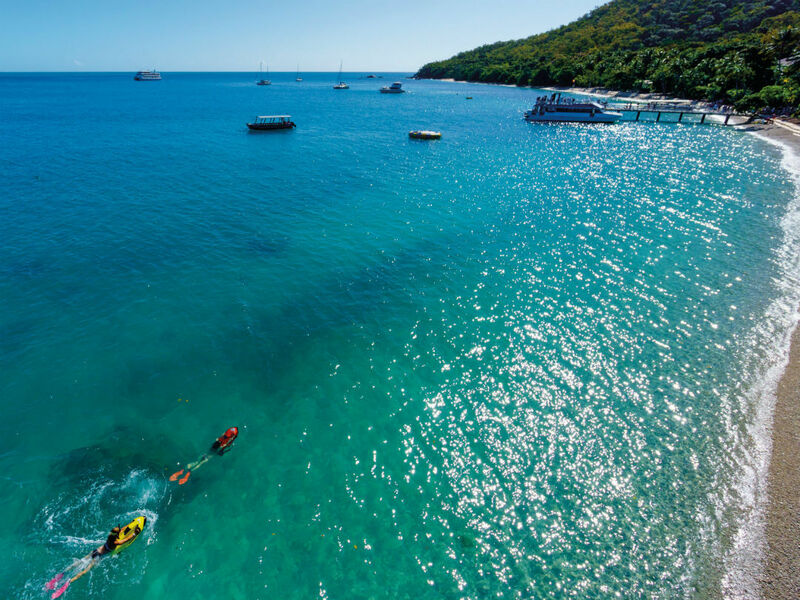 Although there are places all along the Queensland coast offering access to the Great Barrier Reef these are the top three locations to base your Great Barrier Reef holiday. They all offer a range of choices and options. 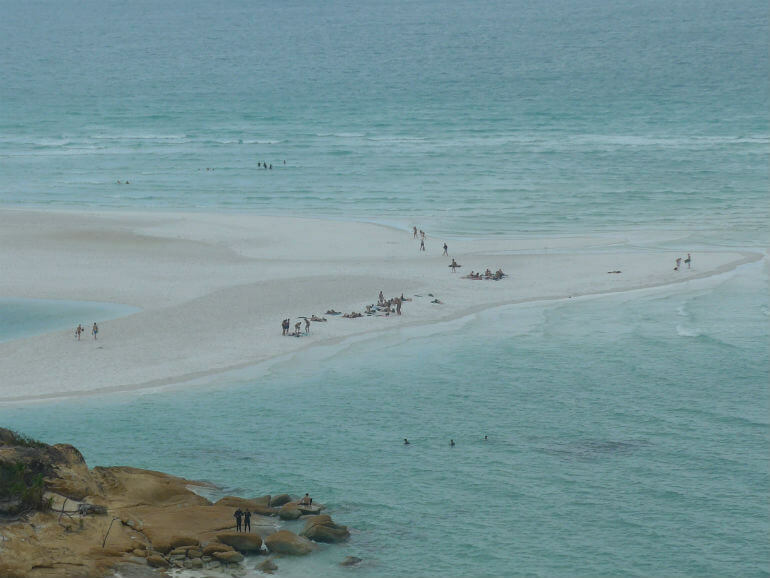 The number one attraction at Airlie Beach is Whitehaven Beach a 7 kilometer stretch of white silica sand on Hill Inlet, part of Whitsunday Island. It is one of the most pristine beaches in the world and the white silica sand is so fine to can be used to polish jewellery. The other attraction can only be viewed from the air, Heart Reef, pictured below. It wasn’t discovered till 1975 and is now protected to exclude diving and snorkelling. 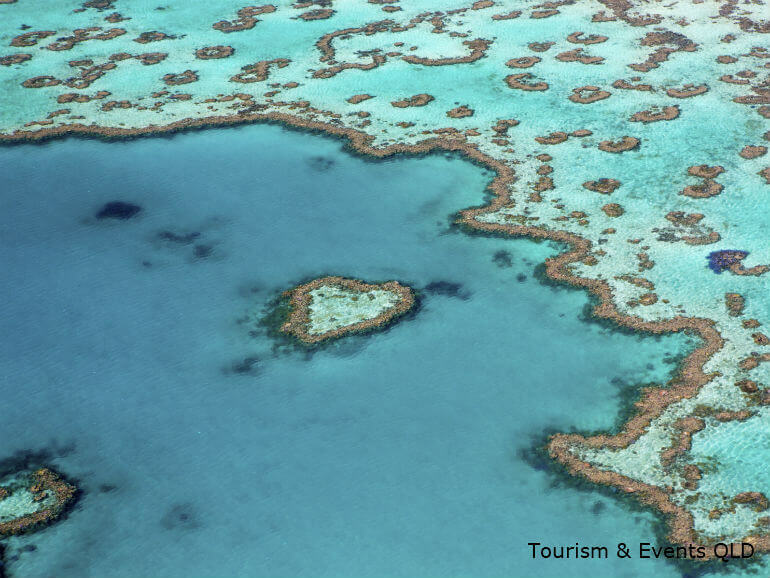 Most flights over the area include views of Heart Reef and Whitehaven Beach. The reef is actually 90 nautical miles from Airlie and is a 2.5 hours trip each way. The time passes quickly as you are mesmerized by the beautiful scenery you pass through. The reef you visit is called Hardy Reef. For a once in a lifetime experience try an Overnight Reef Sleep, spending the night at the Hardy Reef pontoon. There are over 70 islands in the area ranging from uninhabited through to Hamilton Island with resorts and its own airport. 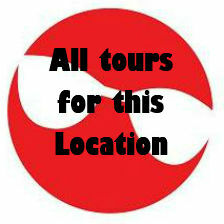 With so many islands it is no wonder that there is a wide selection of sailing and boating tours in the area. The proximity of the Great Barrier Reef to Cairns offers such a wide range of choices. You can take a day trip to the outer reef or spend a day or more on one of the tropical islands near Cairns where the reef is just a short swim off the shore. There is such a wide range of options and operators you will find something in Cairns to suit your tastes. You can even take a remarkable tour where a helicopter will drop you off for a private picnic on a secluded sand cay. 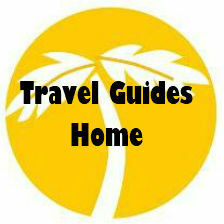 If you are staying at Port Douglas you have chosen a beautiful part of the world to holiday. There are numerous tours to the reef starting from here, choose whether you want to snorkel or dive in the wonderful coral gardens. 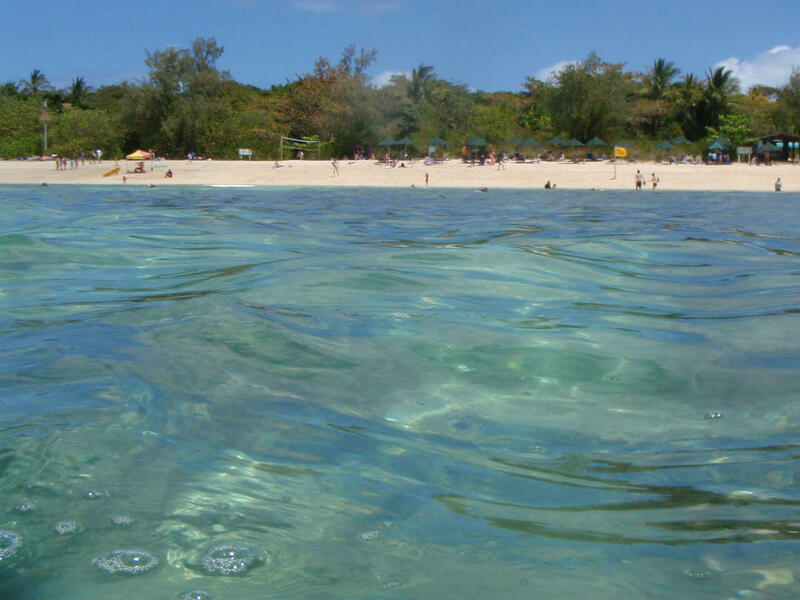 From Port Douglas you can travel to see the reef at Low Isles, Opal Reef or Agincourt Reef or a combination of these. 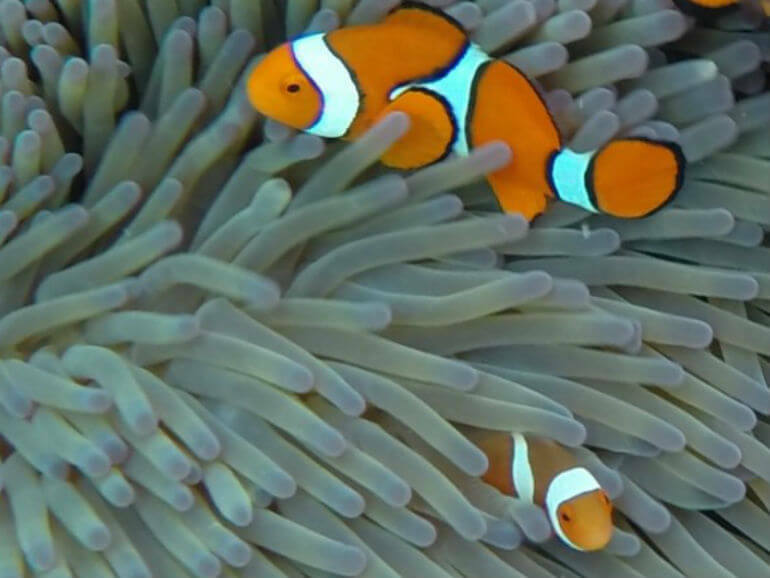 The Great Barrier Reef is 2,300 kilometres long so the climate and weather conditions will vary greatly between the northern and south areas of the reef. The Great Barrier Reef is one of those places where anytime is the right time to visit. 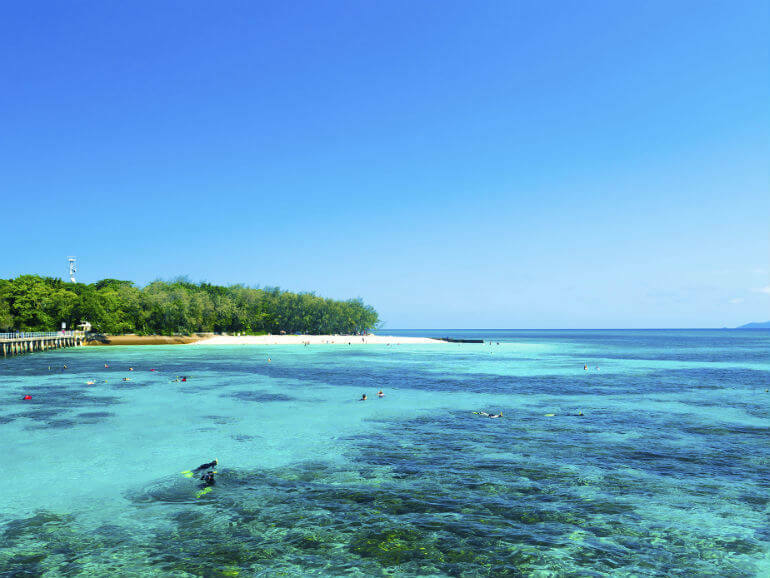 Most of the reef is in Tropical waters so even in winter the water temperature is still comfortable. At different times of the year, different events are occurring on the reef, be it whale migration in winter or coral spawning late in the year. Also, don’t be put off by the wet season, quite often it may be raining on the coast yet out on the reef the sun is shining. As the Great Barrier Reef is in the southern hemisphere it gets warmer the further north you travel! This is the start of the dry season and weather can be brilliant, warm days and cooler nights. There will be less visitors to the reef and even some operators offering special. At this time of the year many juvenile fish and sharks are visible for the first time. Temperature is cooler (evenings are cool) and this is the tourist high season. The winds reduce and sea conditions become calmer. At different points on the reef you can watch the whale migration. The most popular time to visit the reef. October, November and December is when the coral spawning takes place. 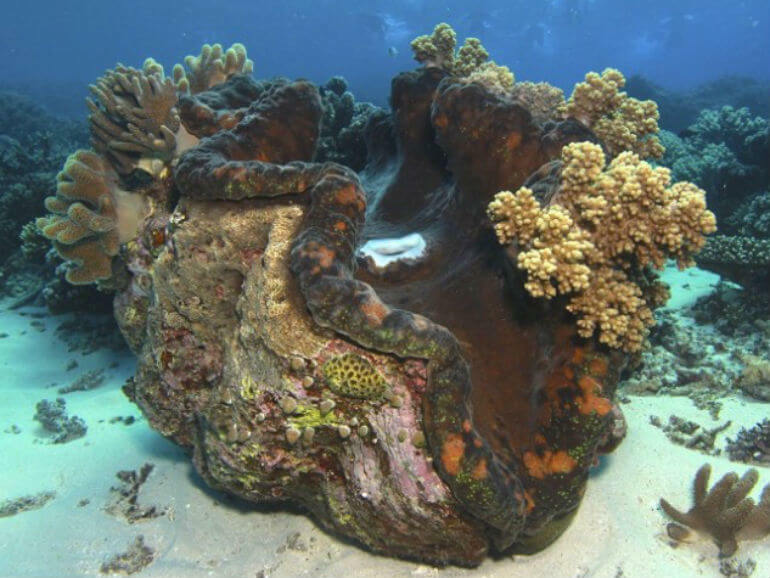 The event happens at the inshore reefs normally within a week of the first full moon in October whereas for the outer reefs it can occur as late as December. The event happens at night and is one of the most spectacular events to see occur. The water temperature starts to rise as the wet season begins. Tourist numbers do drop off and in some areas marine stingers (Jellyfish) can be present so be sure to follow the warnings. This is also the time the Manta Rays become more active in some areas, and early in the year the turtles begin nesting and hatching. The Great Barrier Reef is a popular destination with families meaning that during Australian School holidays you should book a little earlier. To see Australian School holiday periods click this link. The most common way to experience the reef is by boat. Whether it is one of the modern fast catamaran services to give you maximum diving and snorkeling time, or a relaxed trip on a sailboat so you can enjoy the journey. For people short on time, or prone to motion sickness there are still options to allow you to enjoy the reef. There are helicopter transfers to and / or from the outer reef pontoons or for the romantics a picnic lunch on a remote coral cay for two, by helicopter! 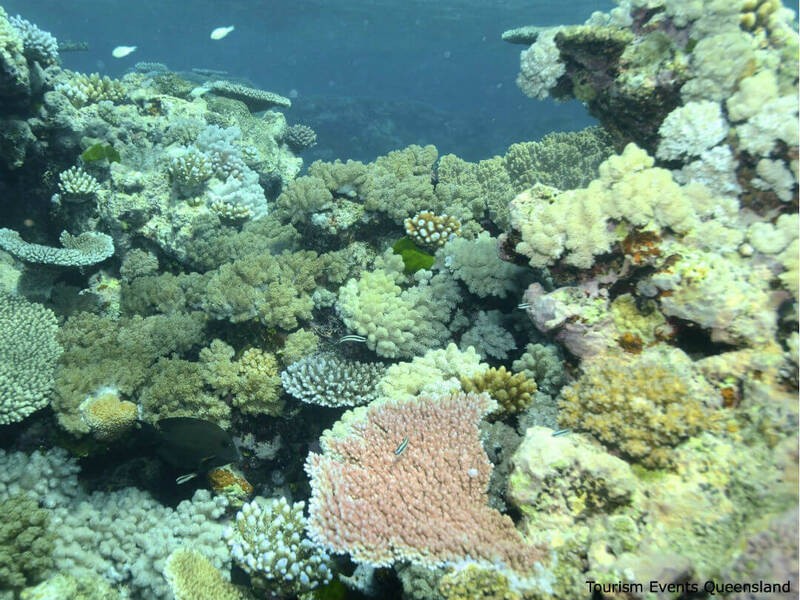 Once you are on the Great Barrier reef there are so many options to explore the reef. Dive (coral relies on sunlight for growth, some of the best snorkelling and diving can be done in shallow areas around the reef top). Snorkel the closer to the surface the corals are the more vibrant colours that are visible. Glass bottom boat, submarine and semi submersibles allow non swimmers to see the reef close up. Seawalking and scubadooing are other ways to see the reef without having to dive or snorkel. The Great Barrier Reef is the largest coral reef in the world, visible from space and is one of the most complex natural ecosystems in the world. Corals are marine invertebrates, a group of animals that also includes jelly fish and sea anemones. They come in a variety of colours, shapes and sizes, and have a simple stomach with a single mouth opening surrounded by stinging tentacles. Each individual coral animal is called a polyp. A colony is the result of hundreds of thousands of identical polyps (they basically grow copies of themselves) living together. Coral is either hard coral or soft coral. 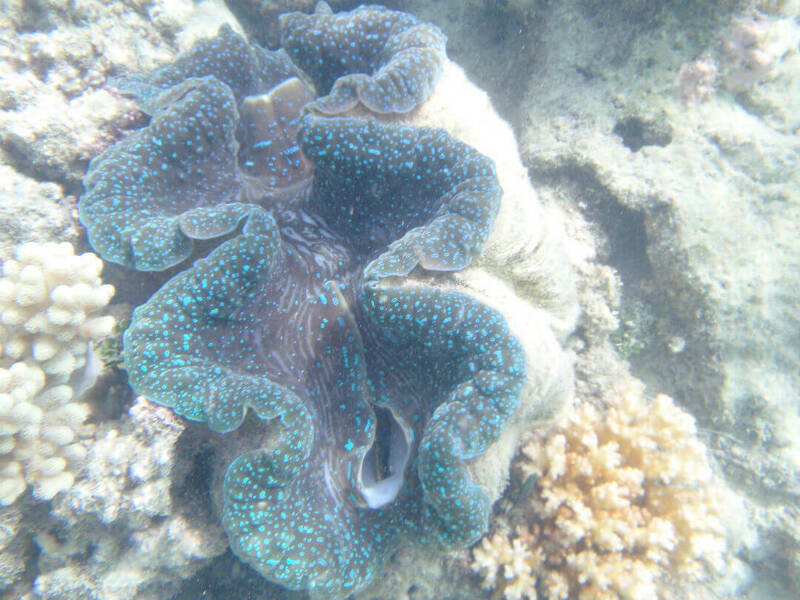 There are about 800 hundred species of hard coral (Scientific name Scleractinia), also known as “reef building” coral. 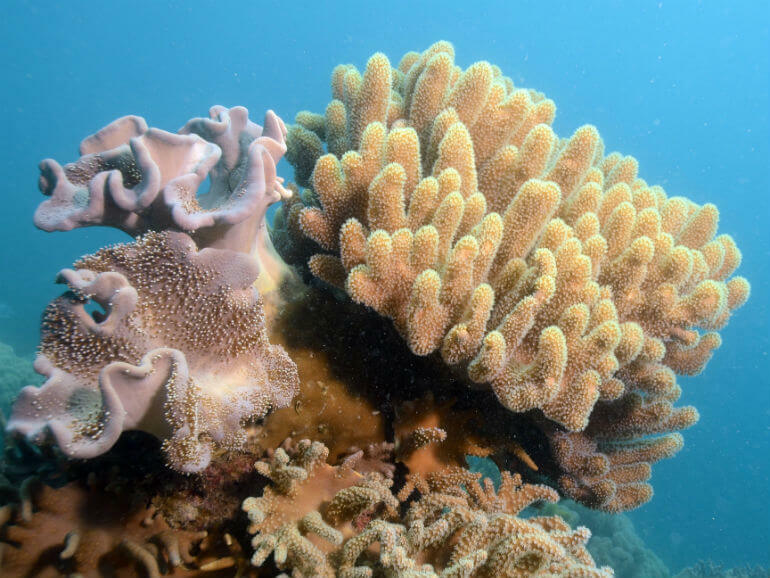 Soft corals, (Scientific name – Alcyonacea or Octocorlilla), resemble coloured plants, have eight tentacles and usually thrive further from the surface than the hard corals. 500 different species of worms (yes worms) live in the marine park. Sharks – Most commonly seen are White Tip Reef Sharks or Black tip Sharks, don’t worry they are “harmless”! This amazing natural wonder needs our help and support. even as a visitor there are steps you can take to ensure future generations can enjoy the reef as much as we have. Do not leave any rubbish behind, plastic bags and bottles are a major threat to some reef animals. Do not feed the fish, commercial operators must follow strict guidelines to maintain the health of fish they feed. 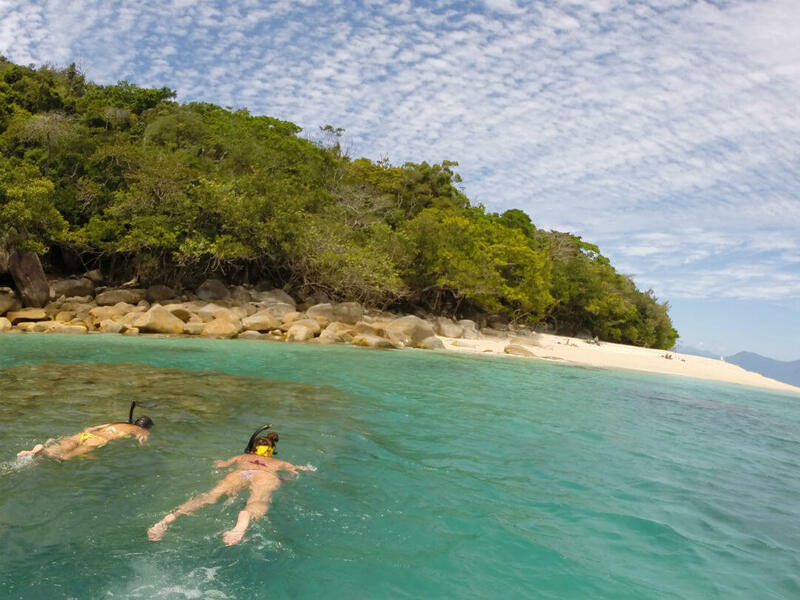 Abide by the diving & snorkelling instructions of your guides, it is for your and the reef’s safety. Generally the Great Barrier Reef is one of the world’s best managed marine areas, although there are a number of threats facing the reef.